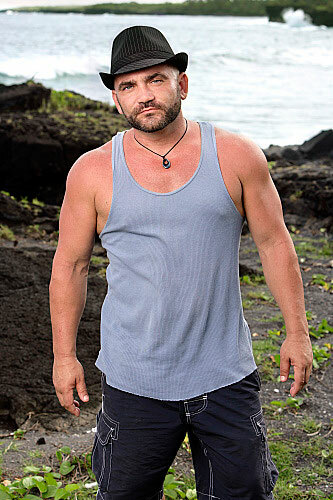 Colton continued to make jaws drop — on the island and among the viewing audience — with a double-whammy this week: He revealed that he hates little people and poor people — and he volunteered the men to go to tribal council after winning immunity! This was Leif’s week to screw up. He accidentally told Bill that Colton wanted him voted out last time — which set off alarms in Bill’s head. Mike found out about Leif tipping off Bill and went running to the self-proclaimed ruler of the game, Colton, trying to curry favor. In a rare show of spine, Colton confronted Leif and warned him that his betrayal had sealed his fate in this game. I thought Leif was going to cry. Regular readers of this column know that I do not usually write about the so-called “reality series” because I do not like them. I would rather listen to a sink backing up than the caterwauling on AMERICAN IDOL (and the singers are pretty tough on the ears, too!) And I would rather be homeless than endure a night in the BIG BROTHER house. 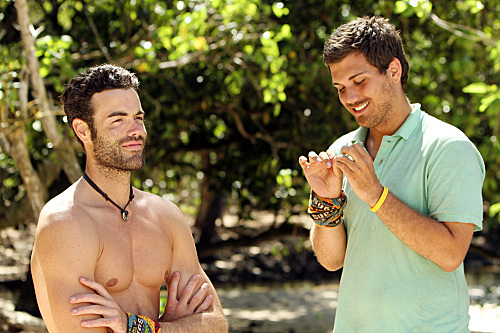 However, SURVIVOR is one of the few unscripted series I enjoy (along with THE AMAZING RACE and UNDERCOVER BOSS — yay, Tiffany Network!) and, as I have pointed out before, this season’s HEROES VS. VILLAINS is SURVIVOR at its absolute best. 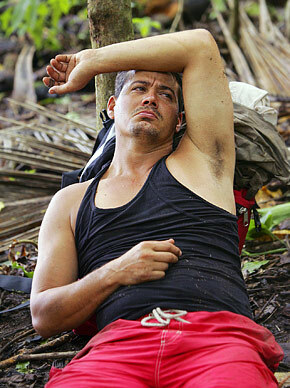 Not only are the competitions exciting, but the intra-tribe squabbling is great soap opera. 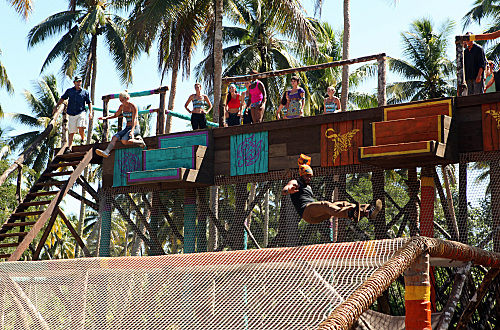 Each physical challenge was played in a previous season, so some contestants are already familiar with the obstacles. Add that to the familiarity with the other players, and practically every challenge — reward or immunity — becomes a grudge match. At least the rate of physical injuries has slowed. The power struggles within the camps earlier in the season were a riot, as would-be alpha dogs battled for supremacy. But now that the power structures have stabilized the emphasis is on…well, survival. As veterans of the game, everybody knows there are “secret” alliances among players, so they all talk openly about alliances; seeing what people reveal (or don’t reveal) shows home viewers a lot about character. Survivor: Leave your hat on – but still leave! I am astonished by how mean the challenges have been: Both teams really seem to hate each other like cats and dogs. I love that the Heroes are not taking the so-called “high road” and acting like they’re above the fray; they are just as aggressive as the putative baddies. (BTW, who didn’t laugh when Jerri moaned that she is a bad villain because she could not decide which teammate to stab in the back?) Whether it’s man vs. man or man vs. woman, nobody seems to be pulling any punches. There wasn’t an injury this week, but it wasn’t for lack of trying. That basketball game was fierce. And good-guy Rupert really collided roughly with Jerri. Wasn’t it her he accidentally hurt earlier in the season as well, during an immunity challenge? I’m certain he was sincerely sorry.